Is it talent or practice that determines if you are an average Shot or a great one — and could woodpigeon have something to do with it? There are times I wonder what it is in our shooting DNA that enables some to become great all-round Shots, others a little better than most, the majority happily middle-of-the-road and an unfortunate few, God bless, who will never be able to hit a cow’s arse with a shovel, no matter how hard they try. 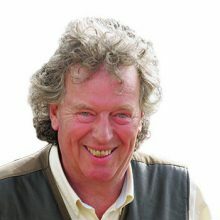 I got to thinking things over again the other day after reading an interesting interview with one–time Norfolk naughty boy — and undisputed brilliant shooter — Philip Thorrold. I forget now what brought about Philip’s temporary ban from domestic and international Sporting competitions way back when, but I thought the sentence harsh at the time for what, after all, was just a bit of youthful horseplay. All that is now long forgotten and Philip, thanks to his warm personality and skills with a gun, has risen to become a sought-after coach of international repute. He flits from home to Russia and China as easily as he crosses the county boundary into neighbouring Suffolk. So what makes Philip and a host of other champions that include the likes of George Digweed, Barry Simpson, Stuart Clarke, John Bidwell, Mick Rouse, Jim Albone and Peter Theobald such accomplished performers, not just on the clay ground, but in the field as well? Some say it’s down to banging off thousands of cartridges every year or being blessed with better reflexes and sharper eyesight than the rest. Others reckon the best start young — but the flip side to this are those who come to the sport a little later in life, and still turn into exceptional performers. So are top Shots born, or made? It’s not easy to answer but having been lucky enough to shoot with a fair number of them — not always clay shooters either — I would have to say they are made; they certainly did not come into the world with a God-given talent for guns. Do they share a common denominator? Yes. All have a much clearer understanding than most about technique and how it enables them to shoot in the way that they do. 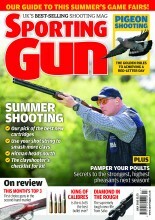 And they also, nearly to a man jack, admit to having got to where they are by honing their skills shooting woodpigeon. Fieldcraft aside, all agree that bagging woodies over decoys demands total concentration on the bird in flight, plus a silky smooth gun mount and swing for each and every shot — the very foundations to everyone’s shooting competency. Logically, this means there are more than a few UK hedgerows hiding a fresh crop of top Shots from general view — and even they don’t know how good they really are. True, such sportsmen might not care too greatly about developing the sort of competitive spirit that makes champions of some, but it’s quite something to know that by putting just a little more thought and effort into our own weekend decoying trips, we can help start our own process of improvement. And with those large winter flocks of woodpigeon having broken up and birds proving much easier to decoy, there has never been a better time to shake the dust from that cammo net and let the shooting lessons begin. Move over George Digweed — but first, just where did I leave that bag of decoys?